I took this shot by The Rivers of America last week. I was not far from the Liberty Square Riverboat Landing, looking toward Frontierland. 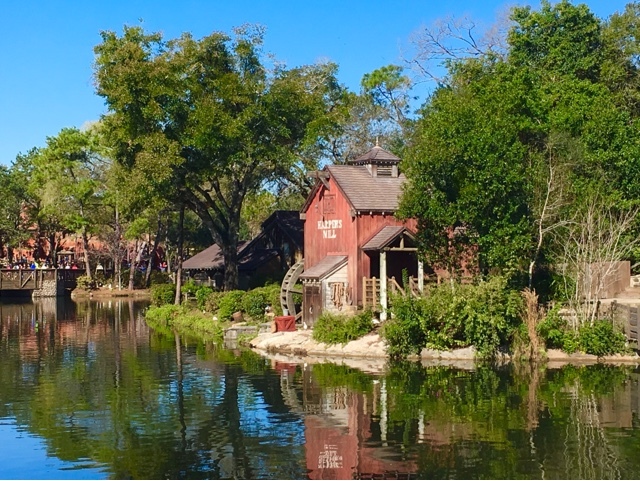 You can see Harper's Mill on Tom Sawyer Island, as well as a little bit of Big Thunder Mountain, if you look through the trees on the left side of the photo.